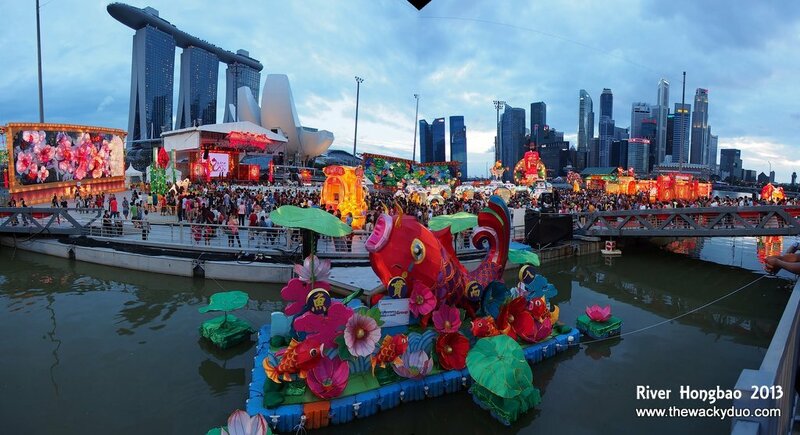 On the third day of Chinese New Year 赤狗日 , we headed down to the Float at Marina Bay for River Hongbao 2013 春到河畔. Traditionally, this is the day where we cease visiting friends and relatives. It is also a day where the Chinese would visit God of Wealth. Since we heard that there will be an 18m tall God of Wealth (財神)at River Hongbao, we decided that this will be our activity would be for the day. 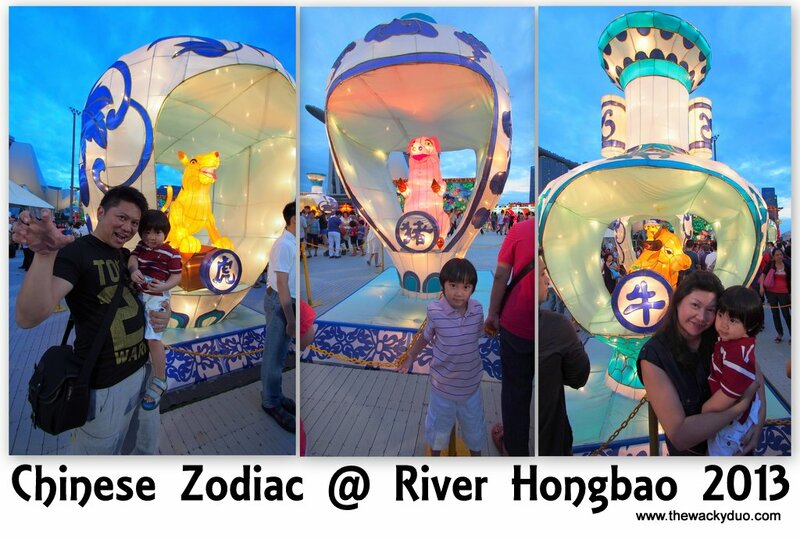 This is the 27th consecutive year since the start of River Hongbao. It has since became an intergral part of the Chinese New Year landscape in Singapore. The place was packed when we reach the destination. It took us almost 30 minutes to get a carpark at Singapore Flyer! I guess everyone had the same thoughts as we did for the day. As part of the Marina Bay Ambayssadors, we are suppose to cover the event officially. Unfortunately due to the crowd, we could not locate the media booth! However that did not fazed us as we are still determine to soak in the atmosphere. Due to the huge crowd, we decided to view the 財神 from afar. Do note if you are going with kids, the crowds may be a tad bigger nearer to 財神 as we heard that he would disperse 'gold' at certain time. Nevertheless we did chance upon the mini version of 財神. We got gold tokens from him. Good fortune for the year ahead! Don't miss the other lanterns on site. If you look hard enough , you can even spot Jia Jia and Kia Kia, Singapore latest Permanent Residents. There are also 2 large panels of lantern display measuring 10m by 30 m on site. Evenings would probably be the best time to catch the lanterns in all its glory. Moreoever there are nightly performances at the stage on the Float itself﻿. Do brace yourselves for a crowd as it would also be the time where there would be most people visiting the event. ﻿The main attraction for us (and for most kids) would be the Uncle Ringo games and rides. It is even more expensive than compared to Universal Studios. For that price for you would probably get the entrance fee for a family of 4 to USS plus a nice meal to go along with it. We think it is overprice for an event catering to families. In anycase, since it is Chinese New Year and seeing how eager we were to play, Daddy decided we should have fun on some rides. After the rides, we stroll back to Singapore Flyer for dinner. There is another 財神 situated at Singapore Flyer for those who miss it on the platform! 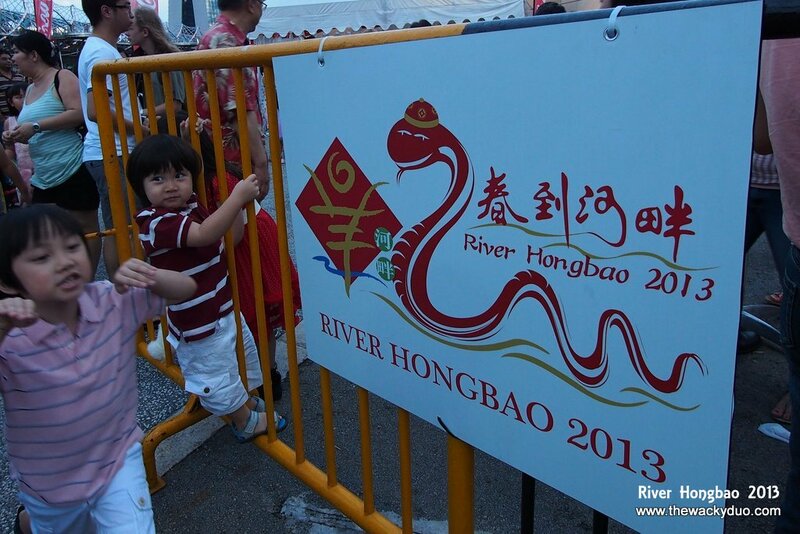 The River Hongbao will be held from 8th to 16th Feb. It means another 2 days to visit if you have not done so. Do make your plans soon!